New here. I downloaded CC3+ a while back and have been working on my first map and thought I would share the progress. It’s a mashup recreation of 5 separate hand-drawn maps from the 1980s when I was playing Advanced Dungeons and Dragons. This is pretty close to the finished product. One thing I think I will change is deleting the lava rivers near my volcanoes…it is a bit distracting from the rest of the map. Don't delete them, just make them a darker red. This map is awesome! I assume you used Schley style? I forgot to say - it is indeed awesome, and very interesting - love to see your culture notes. Hope you develop subregions in it. Posted By: kevbeck43 This map is awesome! I assume you used Schley style? And yes, I liked that style the best. Next, I want to get into redoing some of my old town and dungeon maps. Got plenty to do there. Posted By: Quenten I forgot to say - it is indeed awesome, and very interesting - love to see your culture notes. Hope you develop subregions in it. This map contains many sub regions and cultures. 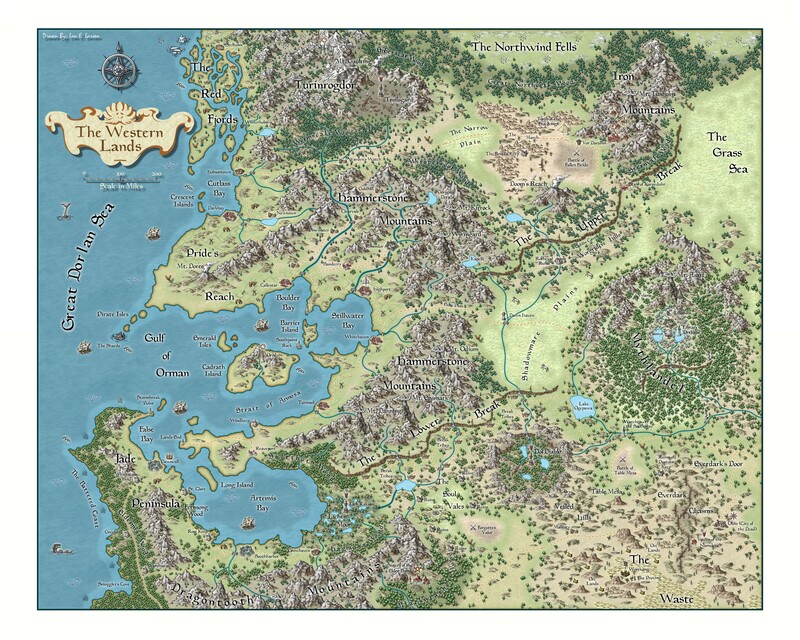 It was pretty much the world my D&D players adventured in for 10 years. All the major races and cultures are there. Humans in the west and south (more orderly civilization the further south you go). Barbarians (Viking-like) to the northwest, Dwarves to the northeast, Elves in the east and Orcs in southeast. Turinrogdor / Trollsgard is an ancient evil area that existed back before the time of humans in the region. Still some nasty business going on there today. Welcome to the forums loudwolf. That is a very good map, you've managed to put quite a nice amount of details in there, making it look really interesting. That's a terrific map, loudwolf. Very impressive ! It's a great map ! How long did it take to map it ? Posted By: basilgass Very impressive ! It's a great map ! How long did it take to map it ? It took about a month to put this together in CC3+. Fortunately I have a lot of AutoCAD experience and the program is basically a CAD program, so that gave me a bit of a running start. Also, I have always been a map nut, been drawing maps since I was a kid. The map elements themselves; that was a 10-year process. Started out in 1981 as just a little map around the Stillwater Bay area and grew from there as my campaign grew. I actually have a continent map I started on but never finished. 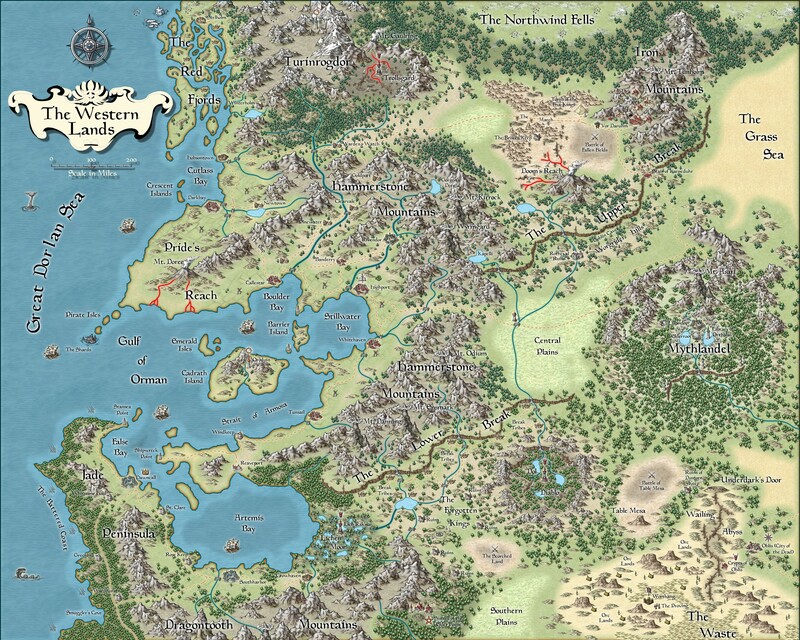 My campaign was taking my players east to a land called Khellnar looking for something called The Banestone that was sort of like the Infinity stones from Marvel Comics' The Avengers. Khellnar was an Atlantian-style advanced civilization on the continent when the west was in it's stone age. The story went that a powerful party of mages and thieves ventured to the home plane of the God Set (from the Egyptian Mythios) and stole the stone bringing it back to Khellnar. This opened up a conduit and allowed a lot of bad stuff to come pouring into the world, decimating Khellnar about a thousand years before my adventurers were born, setting up my whole D&D campaign. Actually thinking about reviving it all when I retire in a few years. Our group is still pretty close. Question: is the "Click for High-Res Version" working for people? It works on the computer I created the link on, but when I tried it on another computer last night, it just took me to the home page of Imageshack. The link was initially broken, but I fixed it for you at some point, you had a missing "
This is your first map? Wonderful! Finally finished. Added forest names and played around a bit with textures and little details. Changed a few names so there was no copyright infringement (such as Underdark to Everdark). I'm getting "This image is currently unavailable" when I click for the hi-res version. Posted By: Loopysue I'm getting "This image is currently unavailable" when I click for the hi-res version. Hopefully fixed now. I think I tried to link everything too soon to uploading the pic to Imageshack.